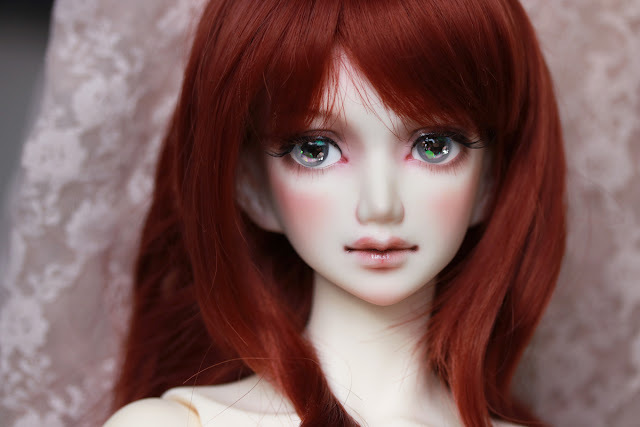 A friend and I placed an order for Oscardoll eyes in late August and we just received them today. The shop mentioned that each pair of eyes take 4 weeks to produce, so our orders were dispatched about a week later than promised. We ordered a total of 6 pairs of eyes and a couple of randoms like stickers and eyelashes. 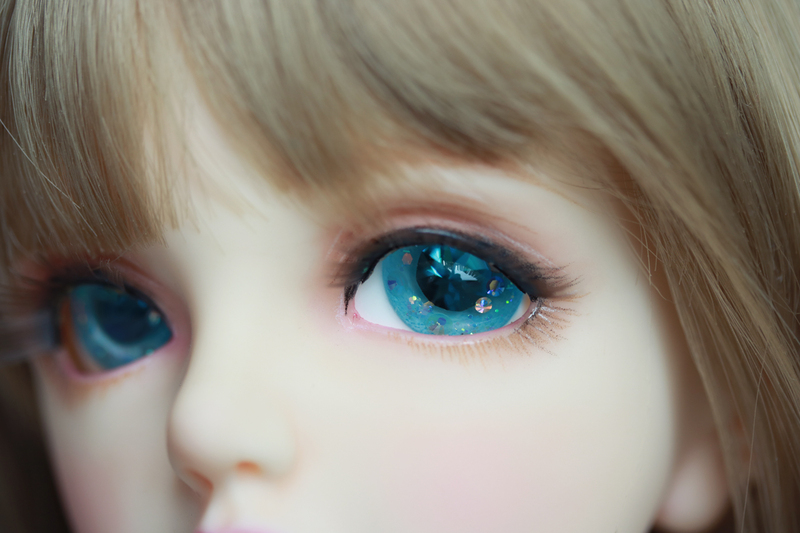 I was too late in discovering their real eyes series, which looked really beautiful, but oh well, decided to try out their gem-like eyes for the first time after noticing Oscardoll's works from years ago! Rodart wears a pair of 16mm Special Grey Blue. She looks rather 'glam' in these extra sparkly gems and I like the contrast it gives to her personality, compared to her default grey Mako eyes. I can't wait to see how she will look in a darker coloured wig.